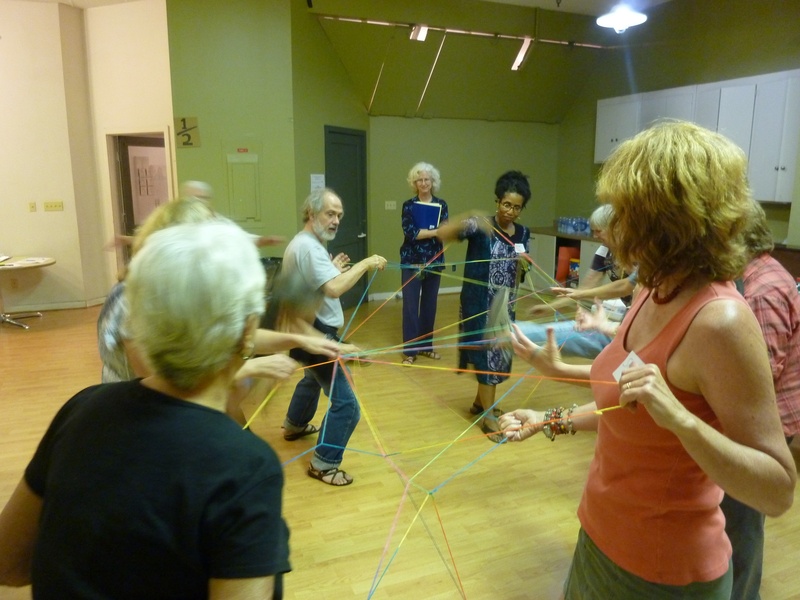 Sheila led a training for about 45 teaching artists for the Durham Arts Council’s Creative Arts in the Public Schools program in January, 2013. She led a brief arts-integrated activity involving history, theater, and writing. She walked the artists through the process of accessing the new Common Core and NC Essential Standards in their arts residencies. And then artists collaborated to locate standards that they are already teaching in the arts and one other subject area. Exploring Charlotte's Web through drama: Charlotte held the baby pig to her cheek. Photo by Alan Cradick. 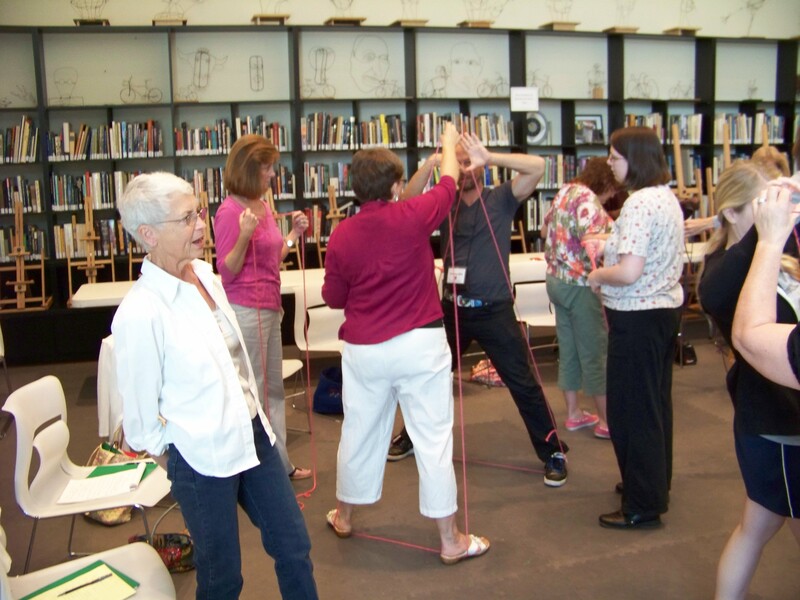 On June 13 & 14, 2012, the Southeast Center for Arts Integration and Cameron Art Museum in Wilmington, NC, came together to offer this unique professional development workshop for Elementary educators–classroom generalists, and teachers of Language Arts, Social Studies, Science, Mathematics, Visual Art, Drama, Dance, Music, and Special Education. In this two day workshop, participants selected workshops that were focused on their own subject, grade level and student populations, so that everyone found ideas that are relevant to the setting in which they teach. 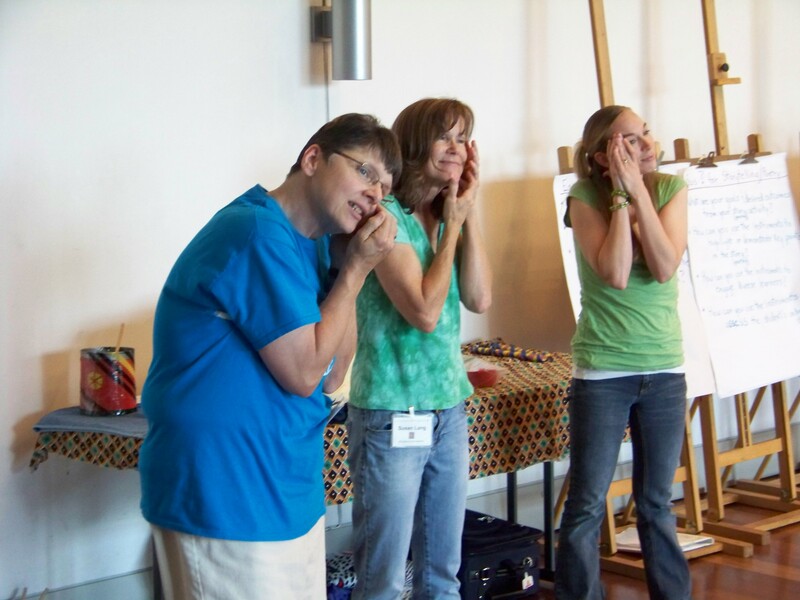 Participants learned proven strategies for integrating Visual Art, Drama, Music and Creative Movement with literacy education across the Elementary Curriculum including pre-school and special education. Workshops addressed reading comprehension, fluency, language structure, reading across the curriculum, writing, history, and cultural issues in literacy. The workshop was free. Fifty-five teachers from public schools in New Hanover, Pender, Brunswick, Columbus, Bladen, Onslow, Cumberland, Durham, Roberson, Sampson, Scotland, and Wake counties attended, participated, collaborated, created, and went home with one literacy credit, as well as many fruitful ideas for using the arts to teach literacy. The Cameron Art Museum Café provided delicious box lunches. 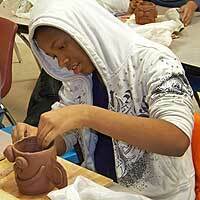 Many thanks to the Mary Duke Biddle Foundation and the Corning, Inc. Foundation for their funding support! Jef, Martha and Sheila led an Artist Salon on Becoming a Teaching Artist for 22 potential teaching artists on Friday, August 19th, 2011, at The ArtsCenter in Carrboro, NC, under the auspices of the Orange County Arts Commission. 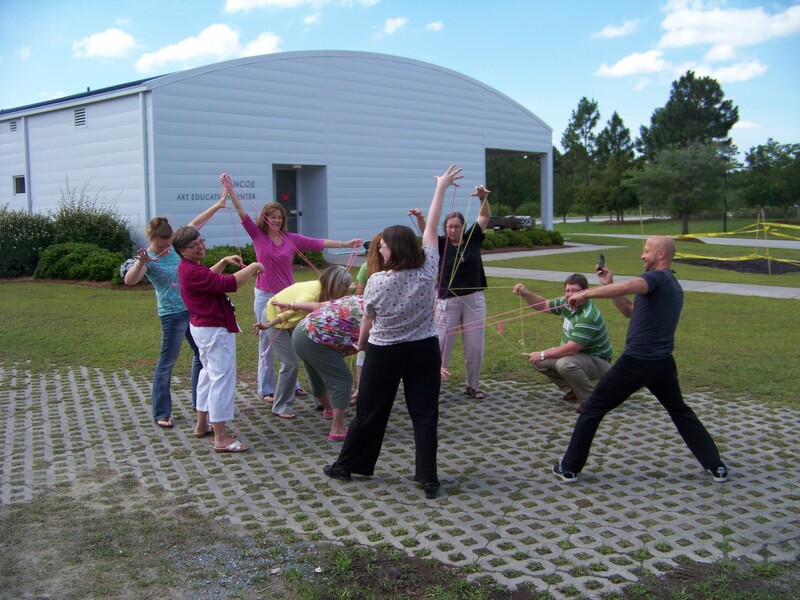 We demonstrated three short, arts-integrated, experiential lessons—one with dance, PE, and math; one with visual arts, dance, and math, and one with theatre, social studies, and writing. All three lessons incorporated 21st century skills and multiple intelligences. Then we described a few aspects of what it means to be a teaching artist, how to get work, and how to design a lesson or residency that integrates the standard curriculum with the art form of the artist. The attending artists received a packet with information, resources, and a brief residency planning guide. The IRS has notified us that we are now a 501 (c) 3 non-profit organization with all the rights and responsibilities that pertain. Yippee! Posted in Uncategorized	| Comments Off on Non-profit status complete!